Late March I was in Georgia again to sign our 2013 grants and meet with our partners at the Agency of Protected Areas (APA) and Ministry of Environment Protection, as well as with potential new local sponsors. 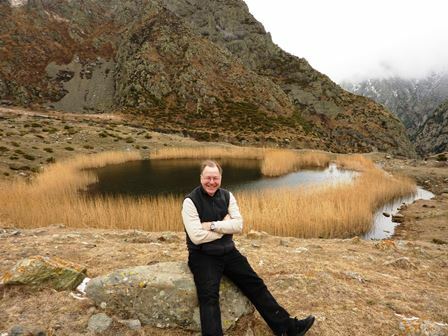 That work was bracketed by time in the field, and both park visits were strong reminders of the beauty of the Caucasus and the importance of CNF’s work. 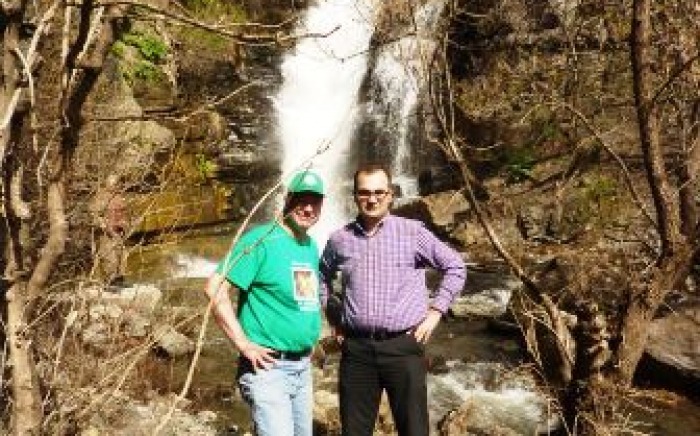 Just off the plane, I headed to Tbilisi National Park with our national coordinator Tea Barbakadze. Located on the outskirts of the capital, this is not so much wilderness as a national forest/recreation area. The hilly terrain is covered with a beautiful mixed hornbeam and beech forest. Several splendid monasteries from the first millennium dot the landscape. The potential for showcasing marvelous nature to city-dwellers and day-tourists is immense. Unfortunately, as with many of the region’s parks, everything remains to be done: crumbling Soviet-era infrastructure needs to be replaced, and a concept for appropriate management of the area needs to be developed. Our funding alone would not suffice to conserve and develop the park, but CNF will be on the lookout for a partner ready to make the necessary major investment. We would then welcome the opportunity to add our support for operations. My last day in Georgia, Tea and I headed for Kazbegi National Park. The weather was inauspicious, but I wanted a firsthand look at Kazbegi, as it will be the high-mountain (and final) stop on our September donor trip to the region. Through low clouds, fog, and rain that turned to snow, our jeep climbed the steep ascent to the 2,380 meter (7,815 feet) Cross Pass. Visibility was now about 15 meters, the road was deeply potholed and slippery with a mixture of ice and mud, and I began to wonder if we shouldn’t turn back. When we called the park director, he encouraged us to press on and thankfully we did. As we descended into the valley, the clouds began to lift. By the end of the afternoon, the sun was shining brilliantly, and even if the park’s namesake, majestic mount Kazbegi (alt. 5,033 meters), refused to emerge from the clouds, the line of breathtaking peaks before us made every minute of the arduous drive worth it. Listening to the director during our tour of the park and the delicious Georgian lunch he provided, I thought how, within its still relatively small borders, Kazbegi encapsulates the potential and problems of much of Georgia’s, and the region’s, extensive protected areas system. With its pristine nature interspersed with ancient churches and other cultural icons Kazbegi is stunning; but as in many of the parks, almost non-existent infrastructure means that it is nearly impossible to fulfill even the most basic functions like protection work. Encroachment by civilization and development is another major threat to the region’s protected areas. In the case of Kazbegi this is currently taking the form of a hydro-station that will bring obvious economic and clean energy benefits, but will scar and remove water from a portion of the gorge (getting the cost/benefit calculation of this right at a local and national scale will be crucial). The park should be enlarged and the bigger area properly zoned to ensure both conservation and sustainable development. Our partner KfW is working on an enlargement project. 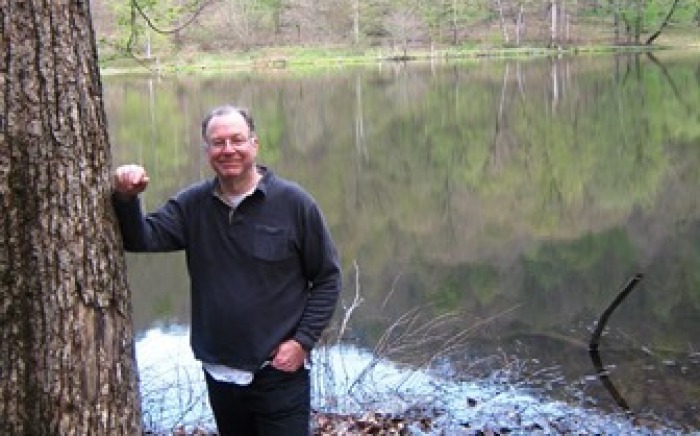 CNF plans to support the park’s recurring operating costs in 2014. Our funds will ensure the park’s need for basic equipment and maintenance. 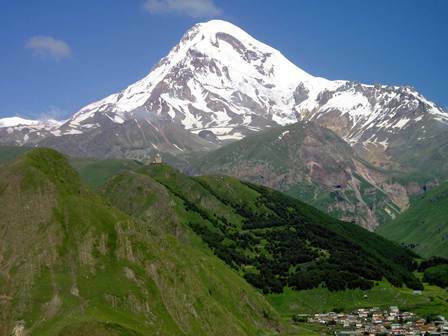 In the coming months, I will be reporting more about Kazbegi and CNF’s plans there.